Which do you use Pizza Crust? It’s easy to buy your favorite sauce, but with just five minutes and a few simple ingredients, you can make a tasty pizza sauce at home. Mix it up to suit your family’s tastes with your favorite flavor of canned tomatoes. Fire-roasted crushed tomatoes or crushed tomatoes with basil used in the recipe below both make an excellent marinara. Try our Five-Minute Five-Ingredient Pizza Sauce and you’ll never go back to store-bought sauce again! 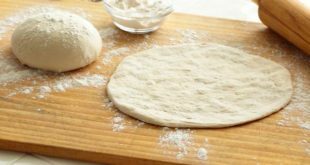 Start with about two tablespoons of sauce in the middle of your pizza crust, then spread it out using the back of a large spoon or ladle for the best coverage. Make this recipe your own! If you like a little spice, throw in a 1/4 tsp of crushed red pepper flakes to add an extra bit of warmth and flavor. Basil and oregano are traditional pizza sauce flavors, so add in a little of one or both to taste. If you like your sauce with a little texture, you can leave it as is, but if your family prefers a smoother sauce, you can blend it with a stick blender or in an upright blender. For a regular blender, simply pop open the pour spout and cover it with a kitchen towel when you blend to avoid exploding sauce all over your kitchen. 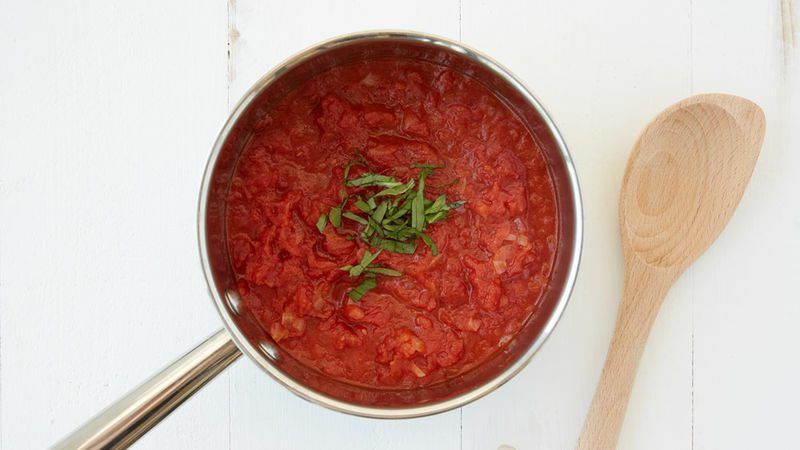 While store-bought pizza sauce does not need to be heated before use, cooking your own tomato sauce helps the flavors to blend together and the tomatoes to break down. If you’re not a huge fan of tomato sauce, you can also make a “white pizza,” which is made with a sauce that’s typically just a bit of olive oil, garlic, salt and pepper. Or, if you really want to get crazy, try making a barbecue chicken pizza or pizza with buffalo sauce and ranch! We all know that pizza just isn’t pizza without cheese, but how to you get your pie to have the right balance of melty, slightly blistered, gooey goodness? It all depends on what types of cheese you decide to use. The best cheese for melting is the obvious choice: mozzarella. Most pizza recipes call for this cheese, and some pizzas like margherita exclusively use it, not blending with any other type. Mozzarella is an excellent choice because its high fat content makes it easy to melt and it has a mild flavor so you can go wild with toppings if you want. The best cheese for flavor really depends on your personal preference and toppings. If you want a classic, Italian pizza, a blend of mozzarella and provolone is best. If you want to get fancy with your pizza, prosciutto, arugula and/or caramelized onions, goat cheese is a great go-to. For more richer, unique flavors, try gouda or gruyere! Feel free to use Cheddar cheese on your pizza, but know that while it’ll add some tasty, sharp flavor to your fun pizza (like cheeseburger pizza, for example) you won’t get the classic, melty, slightly blistered look that’s typical of mozzarella. Parmesan cheese is great on pizza…after baking! 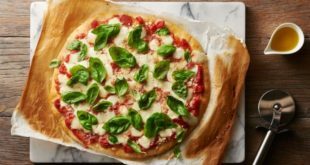 Parmesan cheese will lose its flavor when baked, so don’t use it in your cheese blend, but rather sprinkle some of it on top of your pizza after it comes out of the oven for some extra flavor and texture. It’s also fun to push your boundaries and try a combination of toppings you might not normally go for. 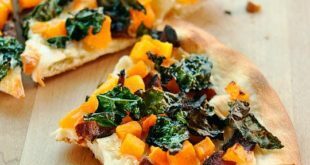 Here are a few of our favorite twists on classic pizza that go beyond pepperoni. 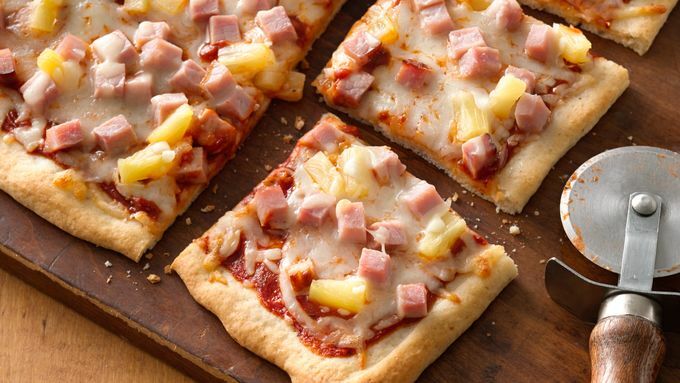 Who knows, maybe you’ll surprise yourself and find your new favorite way to make pizza! When making your pizza at home, it can be easy to get carried away adding a ton of your favorite toppings. But don’t top to excess! It will prevent the crust from cooking evenly and you may end up disappointed with the result. Spread out the toppings and don’t go overboard on cheese or sauce for a well-balanced pizza—sometimes less is more! Whether you love to cover your pizza with meat, vegetables, only cheese or sans cheese (yes, you can), there’s a pizza for pretty much everyone.